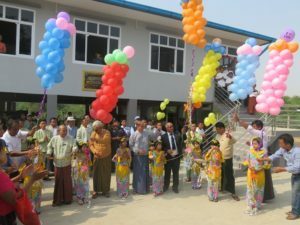 A Handing Over Ceremony of Multi-Purpose Flood Shelter, Emergency Water tank and Concrete Drainages took place on April 24, 2018 in Ward No.14 in Pakokku, Magway Region. 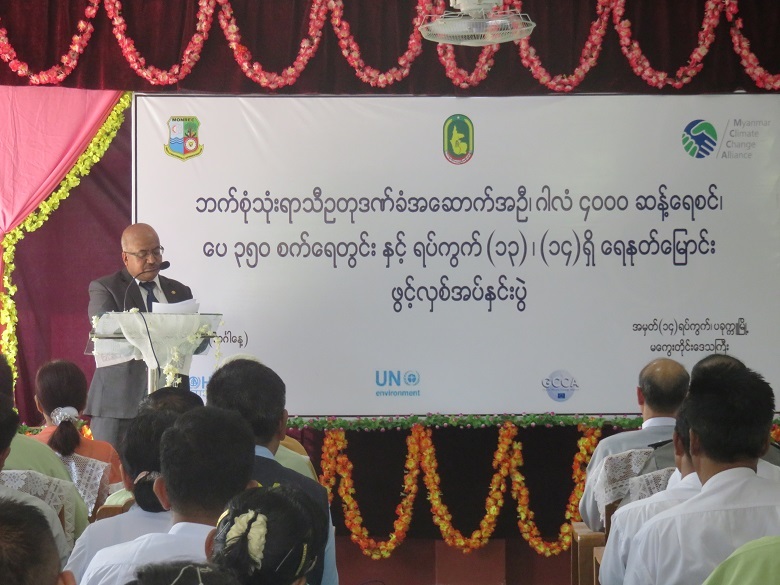 The handover ceremony was jointly officiated by U Pite Ko, Member of Parliament from Pakokku, U Hla Maung Thein, Director General, Environmental Conservation Department, and Mr. Bijay Karmacharya, Country Programme Manager, UN-Habitat. 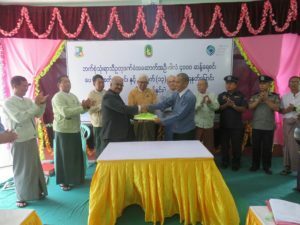 The event was witnessed by Ward No.14 Adaptation Committee, officials from national and regional of Environmental Conservation Department.